It seems like people are either cooks or bakers-with the bakers loving precise measurements and the science of baking, and the rest of us flying by the seat of our pants. Or that’s how it seems! I am not a natural baker, if you didn’t get that from my comments. 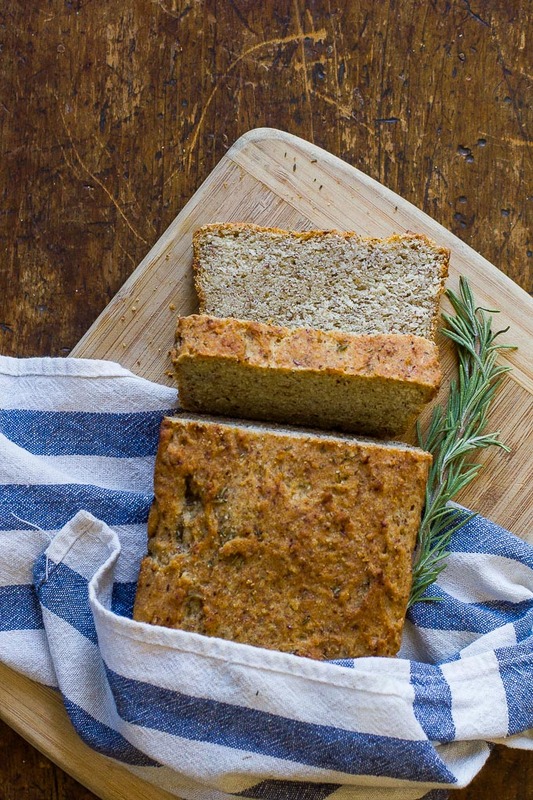 So that’s why I’m excited to share my favorite gluten free bread recipe with you! And gluten free baking seems even more mystifying when you first start doing it. You can’t just “wing it” with gluten free recipes without things going sideways, or maybe that’s just me!! So it’s nice to have a recipe that just works every time, and always turns out well. 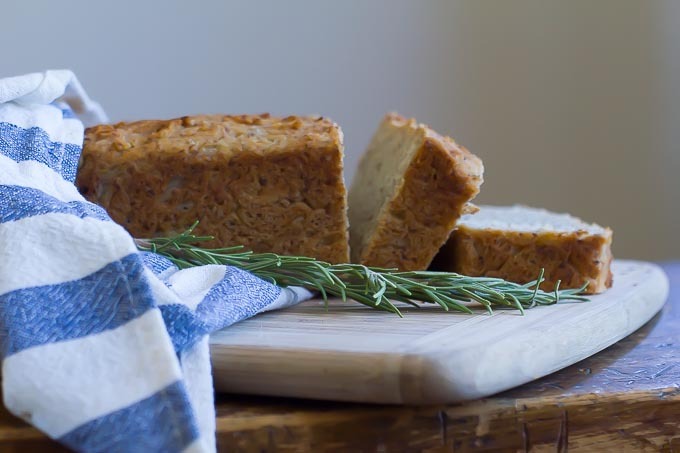 This gluten free bread has a great crumb, holds together beautifully whether you’re slicing it thick or thin, and can be toasted as well to make crostini. It’s completely dairyfree and egg free as well! 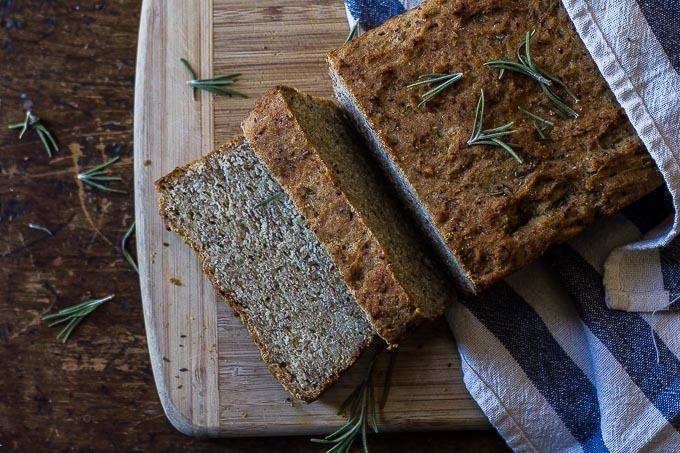 If you have ever tried to find a gluten free bread that is vegan and tastes good, you’ll appreciate this recipe! For the yeast mixture, mix all the ingredients together in a bowl and stir well. Allow to sit for 10-15 minutes so the yeast can bloom. After the yeast has bloomed, add to the dry mix and then add the additional olive oil and agave. Mix well with a wooden spoon until everything is well incorporated. The dough will be a little sticky. Pour the dough into a greased bread pan and cover with a damp towel or saran wrap. Place in a warm spot in your kitchen for 30 minutes to proof. The dough should almost double in size, or fill the bread pan ¾ full. When the dough is done proofing, bake uncovered in the oven for 25-30 minutes. Remove from oven and allow to cool before removing from the bread pan. To serve, this bread is best if it's warmed slightly in the oven or microwave. I recommend you wrap it in aluminum foil and place in the oven for 10 minutes at 325-350 F. Gluten free breads do get harder and more brittle when they are refrigerated, but they soften right up with a little time in the oven. yes! corn starch works the same, or arrowroot powder. Hi there! I’m very excited to have stumbled upon your website and can’t wait to make this bread. Can you please tell me what size bread pan you used?